Awesome life lessons in this book. 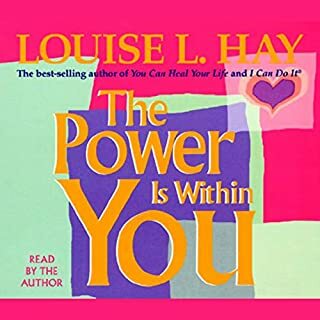 Would you consider the audio edition of The Power is Within You to be better than the print version? I like to hear and see. I wouldn't rate one over the other. I do like to listen while driving or doing the dishes. Have you listened to any of Louise L. Hay’s other performances before? How does this one compare? Equal to the others I have heard from Louise Hay. What did you learn from The Power is Within You that you would use in your daily life?